The Malaysia Agreement or the Agreement relating to Malaysia between United Kingdom of Great Britain and Northern Ireland, Federation of Malaya, North Borneo, Sarawak and Singapore was the agreement which combined North Borneo, Sarawak, and Singapore with the existing states of the Federation of Malaya, the resulting union being named Malaysia. Singapore later ceased to be a part of Malaysia, becoming an independent state on 9 August 1965. The Malayan Union was established by the British Malaya and comprised the Federated Malay States of Perak, Selangor, Negeri Sembilan, Pahang; the Unfederated Malay States of Kedah, Perlis, Kelantan, Terengganu, Johor; and the Straits Settlements of Penang and Malacca. It came into being in 1946, through a series of agreements between the United Kingdom and Malayan Union. The Malayan Union was superseded by the Federation of Malaya on 1 February 1948, and achieved independence within the Commonwealth of Nations on 31 August 1957. After the end of the Second World War, decolonisation became the societal goal of the peoples under colonial regimes aspiring to achieve self-determination hereinafter, the Special Committee on Decolonisation (also known as the U.N. Special Committee of the 24 on Decolonisation, It reflected in the United Nations General Assembly's proclamation on 14 December 1960 of the Declaration on the Granting of Independence to Colonial Countries and Peoples hereinafter, the Committee of 24, or simply, the Decolonisation Committee) was established in 1961 by the General Assembly of the United Nations with the purpose of monitoring implementation of the Declaration on the Granting of Independence to Colonial Countries and Peoples and to make recommendations on its application. The committee is also a successor to the former Committee on Information from Non-Self-Governing Territories. Hoping to speed the progress of decolonisation, the General Assembly had adopted in 1960 the Resolution 1514, also known as the "Declaration on the Granting of Independence to Colonial Countries and Peoples" or simply "Declaration on Decolonisation". It stated that all people have a right to self-determination and proclaimed that colonialism should be brought to a speedy and unconditional end. 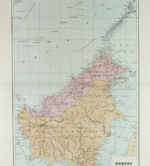 Under the Malaysia Agreement signed between Great Britain and the Federation of Malaya, Britain would enact an Act to relinquish sovereign control over Singapore, Sarawak and North Borneo (now Sabah). This was accomplished through the enactment of the Malaysia Act 1963, clause 1(1) of which states that on Malaysia Day, "Her Majesty’s sovereignty and jurisdiction in respect of the new states shall be relinquished so as to vest in the manner agreed". In the spirit of ensuring that decolonisation was carried in accordance with the wishes of the peoples of North Borneo, the British Government, working with the Federation of Malaya Government, appointed a Commission of Enquiry for North Borneo and Sarawak in January 1962 to determine if the people supported the proposal to create a Federation of Malaysia. The five-man team, which comprised two Malayans and three British representatives, was headed by Lord Cobbold. In Singapore, the People's Action Party (PAP) sought merger with Malaysia on the basis of the strong mandate it obtained during the general elections of 1959 when it won 43 of the 51 seats. However, this mandate became questionable when dissension within the Party led to a split. In July 1961, following a debate on a vote of confidence in the government, 13 PAP Assemblymen were expelled from the PAP for abstaining. They went on to form a new political party, the Barisan Sosialis, the PAP’s majority in the Legislative Assembly was whittled down as they now only commanded 30 of the 51 seats. More defections occurred until the PAP had a majority of just one seat in the Assembly. Given this situation, it would have been impossible to rely on the mandate achieved in 1959 to move forth with merger. A new mandate was necessary, especially since the Barisan argued that the terms of merger offered were detrimental to the Singapore people. While Brunei sent a delegation to the signing of the Malaysia Agreement, they did not sign as the Sultan of Brunei wished to be recognised as the senior ruler in the federation. On 11 September 1963, just 4 days before the new Federation of Malaysia was to come into being, the Government of the State of Kelantan sought a declaration that the Malaysia Agreement and Malaysia Act were null and void, or alternatively, that even if they were valid, they did not bind the State of Kelantan. [according to whom?] The Kelantan Government argued that both the Malaysia Agreement and the Malaysia Act were not binding on Kelantan on the following grounds that the Malaysia Act in effect abolished the Federation of Malaya and this was contrary to the 1957 Federation of Malaya Agreement that the proposed changes required the consent of each of the constituent states of the Federation of Malaya – including Kelantan – and this had not been obtained. ^ See: the Independence of Singapore Agreement 1965 and the Acts of the Parliament of the United Kingdom Singapore Act 1966. ^ See: Section 1(1), Malaysia Act 1963, Chapter 35 (UK). ^ Cobbold was Governor of the Bank of England from 1949 to 1961. The other members were Wong Pow Nee, Chief Minister of Penang, Mohammed Ghazali Shafie, Permanent Secretary to the Ministry of Foreign Affairs, Anthony Abell, former Governor or Sarawak, and David Watherston, former Chief Secretary of the Federation of Malaya. ^ Mathews, Philip (February 2014). Chronicle of Malaysia: Fifty Years of Headline News, 1963–2013. Editions Didier Millet. p. 29. ISBN 978-967-10617-4-9. Trust and Non-Self-Governing Territories listed by the United Nations General Assembly. Malaysia Timeline by the BBC News Channel. J. de V. Allen; Anthony J. Stockwell (1981). A Collection of Treaties and Other Documents Affecting the States of Malaysia: 1761-1963. Oceana Publ. ISBN 978-0379007817. James Chin (2014). "Federal-East Malaysia Relations: Primus-Inter-Pares?, in Andrew Harding and James Chin (eds) 50 Years of Malaysia: Federalism Revisited (Singapore: Marshall Cavendish)". The Straits Times: 152–185 – via Academia.edu. James Chin (31 May 2018). "Why new Malaysian govt must heed MA63 rallying cry". The Straits Times – via Academia.edu.